Fold your fabric in half, so the short edges meet. We're going to fringe the fabric to create the tassel. With your fabric folded in half, cut from the open edge towards the fold, stopping about 2cm from the fold (just wider than your thumb). Try to keep your cuts straight and even. We recommend that each cut should be about 5mm apart. Lay open the fabric on a flat surface, shiny side down. With the open tassels at each end, start to tightly roll the fabric, keeping the shiny side showing outwards. 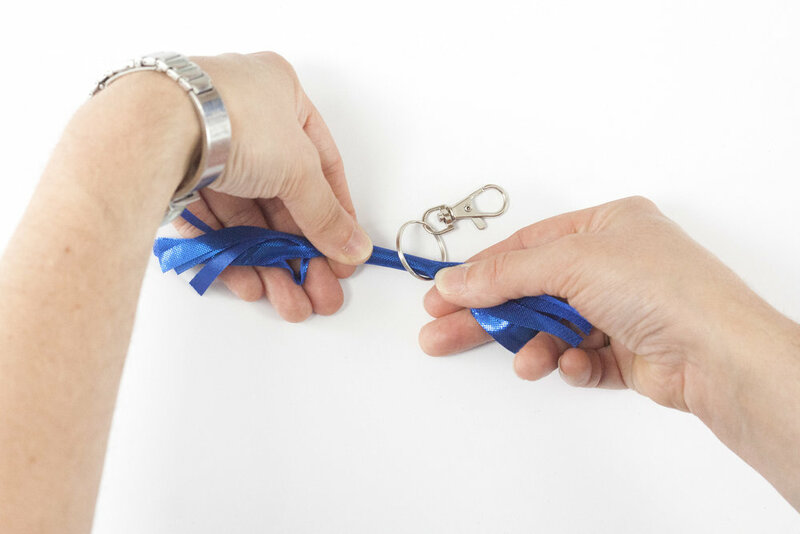 With the fabric edge to the inside, pass the rolled fabric through the middle of your keyring loop and then fold in half. Make sure the fabric lengths are even either side of the loop. Peel the paper backing from the rear of the metal strip to reveal it's sticky side. 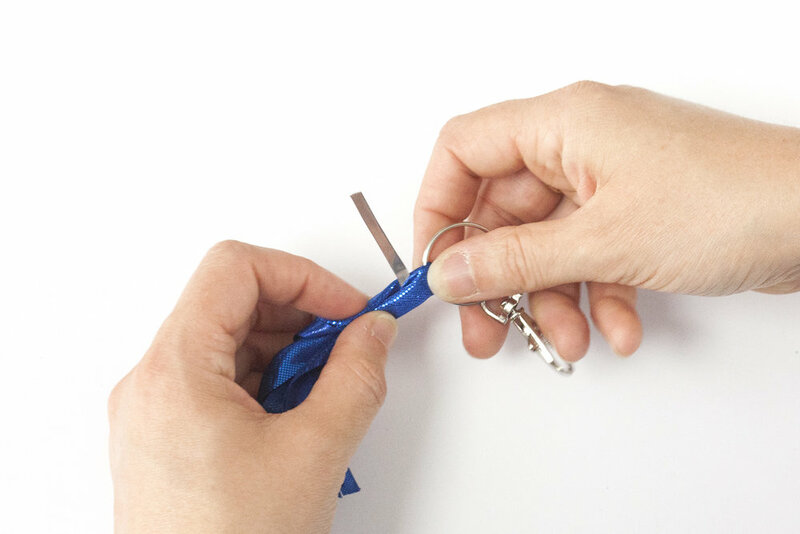 Just below where the fabric meets the keyring, trap the end of the metal strip between the two halves of fabric. Tightly wrap the metal strip around the fabric, so the tape sticks first to the fabric and then to the metal strip itself. Ta dah! And there you have it! Remember to share the results of your mini-make with us. Tag us in your snaps on Instagram or Twitter, and use #thecraftyhen to show off your new tassel charm. Got a question about the above tutorial, or want to find out more about the our natinowide crafty party workshops and event experiences, then come say hello.